Imaginarium Art have posted some renders of their next statue on their Facebook. Next up is a statue of Generation 1 Grimlock. The Dinobot Commander is depicted in his dinosaur mode, and if these renders are anything to go by, there should be some very nice details on the statue. 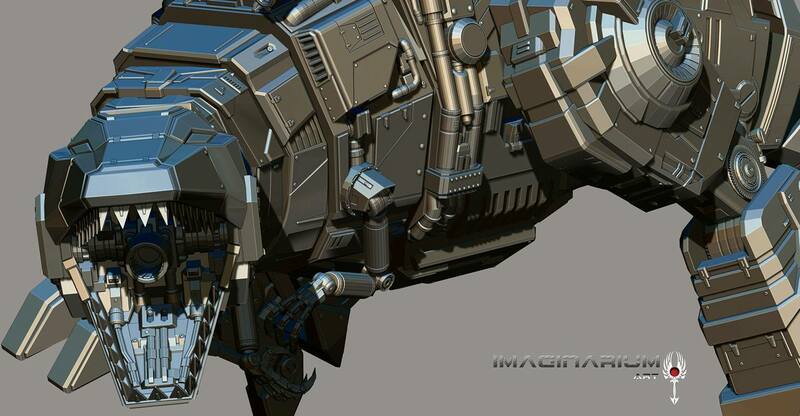 Fans of Grimlock will want to watch this one – check out the renders attached to this post. 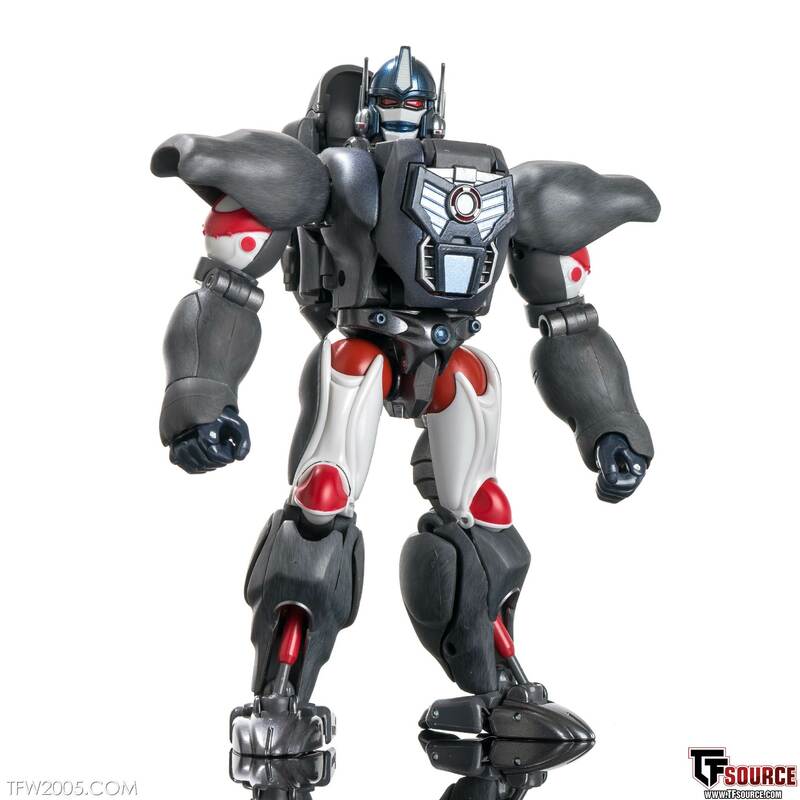 The post Imaginarium Art Generation 1 Grimlock statue appeared first on Transformer World 2005 - TFW2005.COM. Takara Tomy have finally been releasing the Conehead Seekers themselves over the last several months, first with Ramjet and now with MP-11NT Thrust. These are modded versions of the MP-11 mold with altered parts, most notably the cone heads and wings to better match their original G1 releases. They’re being released in a limited fashion via the Takara-Tomy Mall website so availability is slightly more difficult state-side, but site sponsor Big Bad Toy Store has come through. He’s in stock and shipping now! 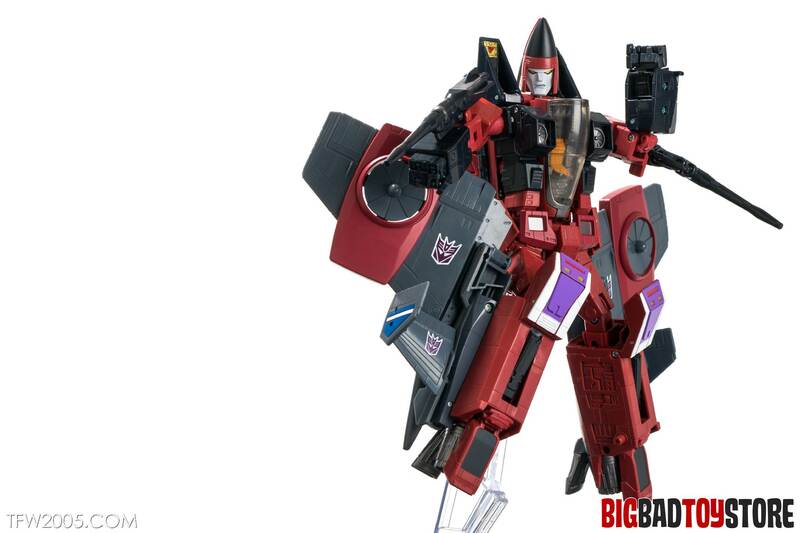 We’ve done up a detailed gallery so head on over to Reflector @ TFW2005 and » Continue Reading. The post MP-11NT Masterpiece Thrust TFW2005 Gallery appeared first on Transformer World 2005 - TFW2005.COM. A lower quality image of Optimus Prime’s CGI appearance for Transformers: The Last Knight has appeared online thanks to a video on youku. 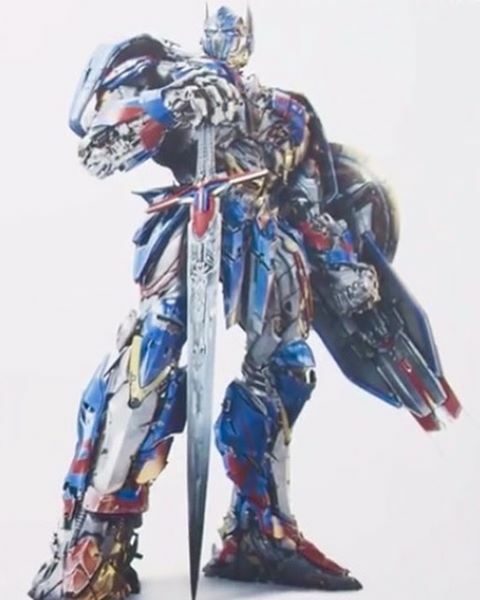 The render shows Optimus standing with one hand resting on his sword and the other holding his shield. Both of which were used in the last film. It seems like the design has not undergone many changes, however one notable difference is seen on his arms, which seem to have not retained the look he gained from his knight upgrade at the end of Transformers: Age of Extinction. This image of Optimus will most likely be released in » Continue Reading. 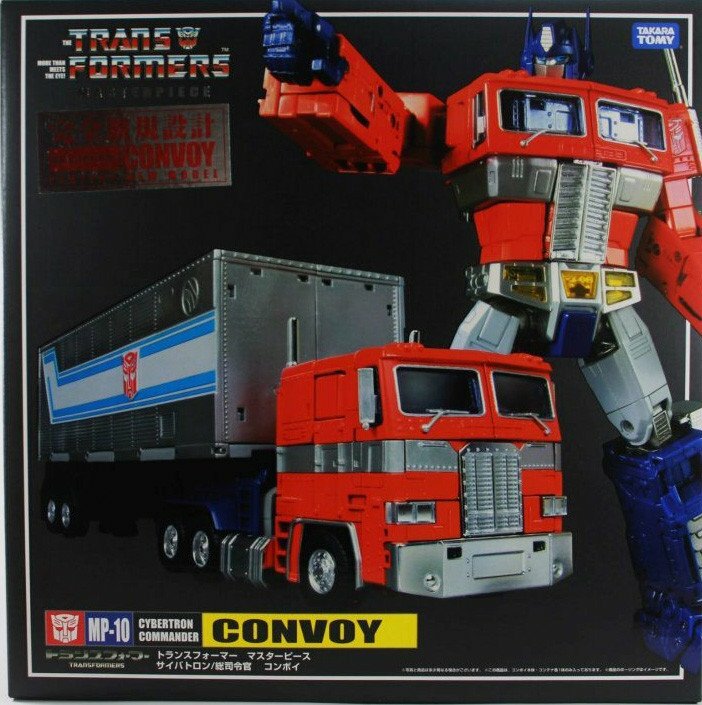 The post Transformers 5 Optimus CGI Render and In-Hand Voyager Figure Images appeared first on Transformer World 2005 - TFW2005.COM. The post Premium Collectables Newsletter November 2016 appeared first on Transformer World 2005 - TFW2005.COM. New Jersey Collectors Con Fall Show Is This Sunday November 13th Holiday Inn Cherry Hill – New Jersey 2175 West Marlton Pike (Rt. 70), Cherry Hill, NJ 08002 The door prize announcements will start at 9AM and conclude at 3:30PM with our last door prize announcement. – 9AM Early Bird Coffee Mug Marvel Infinity Gauntlet – 9AM Doctor Strange Marvel Legends Complete Wave – 10AM Batman: Arkham Origins – Black Mask Arsenal by TriForce – 10AM Powermaster Optimus Prime Titans Return – 10AM Marvel Legends The Amazing Spider-Man Complete Wave – 11AM Transformers 3rd Party GigaPower Grassor – 11AM SDCC » Continue Reading. 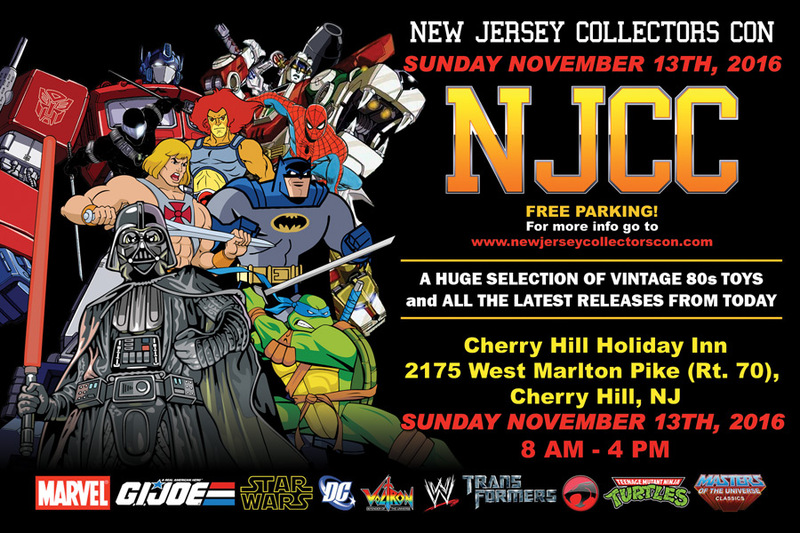 The post New Jersey Collectors Con Fall Show Is This Sunday November 13th appeared first on Transformer World 2005 - TFW2005.COM. 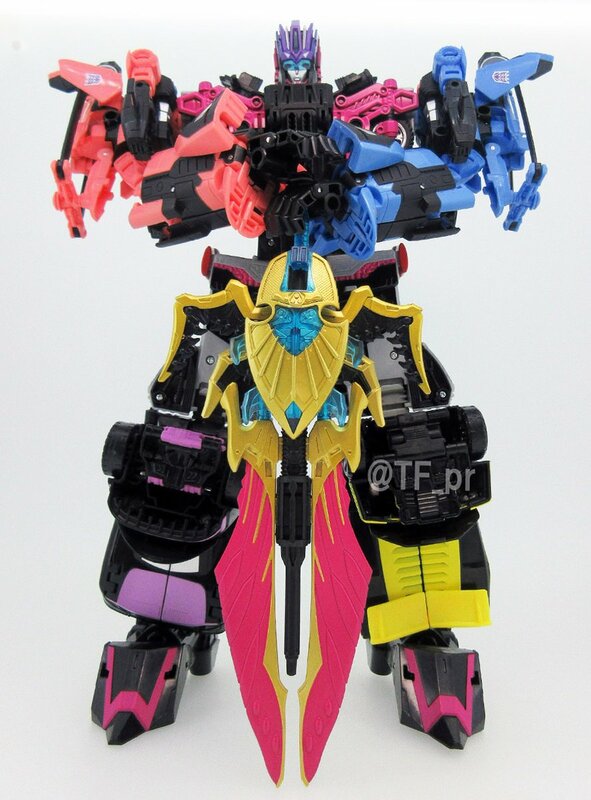 Thanks to the twitter of TF_PR, we have a new image of Takara’s next upcoming project in her full combined form, Megatronia! The image features Victorion’s antithesis standing in an A-pose with her hands on the handle of her sword which accents the bright colors contrasting with the black paint job covering the rest of the figures, giving us a good frontal look at the massive weapon. Check out the image in full after the jump, and be sure to secure your pre-orders for her via our sponsors! The post Unite Warriors Megatronia – Combined Mode Image appeared first on Transformer World 2005 - TFW2005.COM. Thanks to site sponsor Premium Collectables, we have more Masterpiece news in the form of listings! 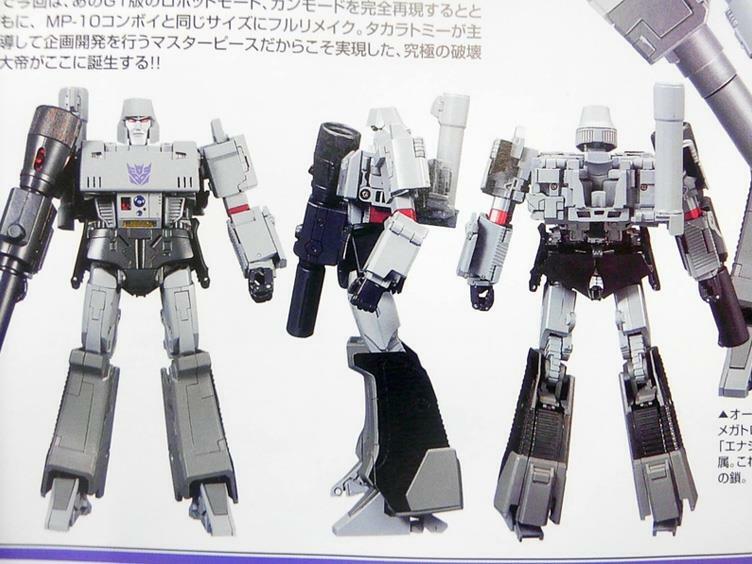 Along with MP-36 Megatron 2.0, also being released around April of 2017 are reissues of MP-10 Optimus, MP-11 Starscream, MP-13 Soundwave with Laserbeak, MP-15 Rumble and Jaguar (Ravage), and MP-16 Frenzy and Buzzsaw! The listings don’t seem to have reached our other sponsors just yet, but they’re sure to follow along with an official announcement from Takara, so keep your eyes peeled for more news on these reissues as we near 2017. In the meantime, head on over to Premium Collectables to grab your » Continue Reading. The post Masterpiece MP-10, MP-11, MP-13, MP-15, and MP-16 Reissues Announced appeared first on Transformer World 2005 - TFW2005.COM. 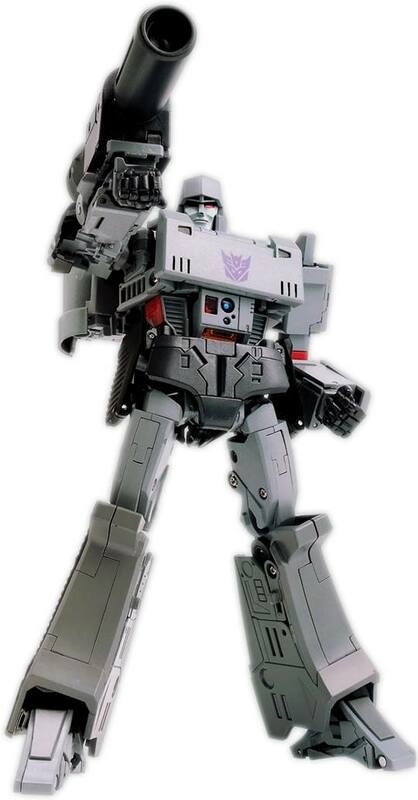 Just a couple short weeks ago, Masterpiece fans rejoiced with news of an all new Masterpiece Megatron (and in color)! Now he’s started going up for pre-order via our sponsors! He’s expected to arrive around April of 2017 and is going for $229.99 USD. You can grab yours via our sponsors below; and be quick about it, as he likely won’t last long! Sponsor Links: Big Bad Toy Store, TFSource, Robot Kingdom, Captured Prey, Toy Arena, Hobby Link Japan, <a href="http://www.thechosenprime.com/" » Continue Reading. The post Hot Pre-Order: Masterpiece Megatron 2.0 appeared first on Transformer World 2005 - TFW2005.COM. Thanks again to the fine folks at TF@TM – another episode of raw dialogue audio from the original G1 cartoon has been posted online. From their description: Our series looking at the missing and altered scenes from the Transformers Generation One cartoon series continues with Divide and Conquer. Once again Dan Gilvezan was missing from the recording session(s) that produced the unslugged tape that this audio has been transferred form and, as such, his dialogue was simply skipped. 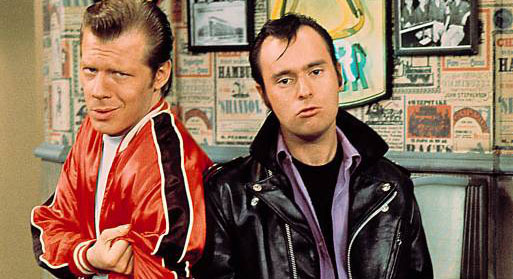 Compared to previous episodes there was less dialogue cut from this episode. You can view the transcript below and can download the » Continue Reading. The post Divide and Conquer – Original Raw Dialogue Audio Online appeared first on Transformer World 2005 - TFW2005.COM. Transformers: Earth Wars – Combiners Are Live! The tease from Transformers: Earth Wars earlier this week about Combiners coming to the game has manifested itself – Combiners are now live in game! Combiners have finally arrived in Transformers: Earth Wars. 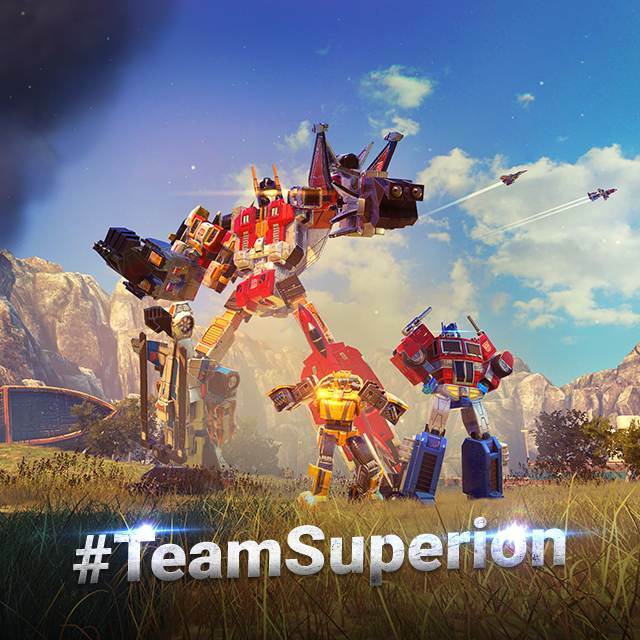 The battle for Earth is now on a whole new scale, as the behemoths Superion and Devastator enter the fight! Are you strong enough to wield their power? For additional details on the Combiner aspect of the game, check out our previous story here. The post Transformers: Earth Wars – Combiners Are Live! appeared first on Transformer World 2005 - TFW2005.COM. TFsource News! Perfect Effect and Fanstoys Restock, War in Pocket, MP-32 & More! TFsource News! Perfect Effect and Fanstoys Restock, War in Pocket, MP-32 & More! NEW HOT IN STOCK ITEMS: – Transformers Legends Series – LG31 Fortress Maximus – FansToys FT-13 – Mercenary – Perfect Effect Restock – Transformers Adventure – TAV60 – BISK, TAV59 – Ratchet, and TAV57 – Hyper Surge Starscream – MP-32 Masterpiece <a href="http://news.tfw2005.com/2016/11/08/tfsource-news-perfect-effect-fanstoys-restock-war-pocket-mp-32-328407">» Continue Reading. The post TFsource News! Perfect Effect and Fanstoys Restock, War in Pocket, MP-32 & More! appeared first on Transformer World 2005 - TFW2005.COM. 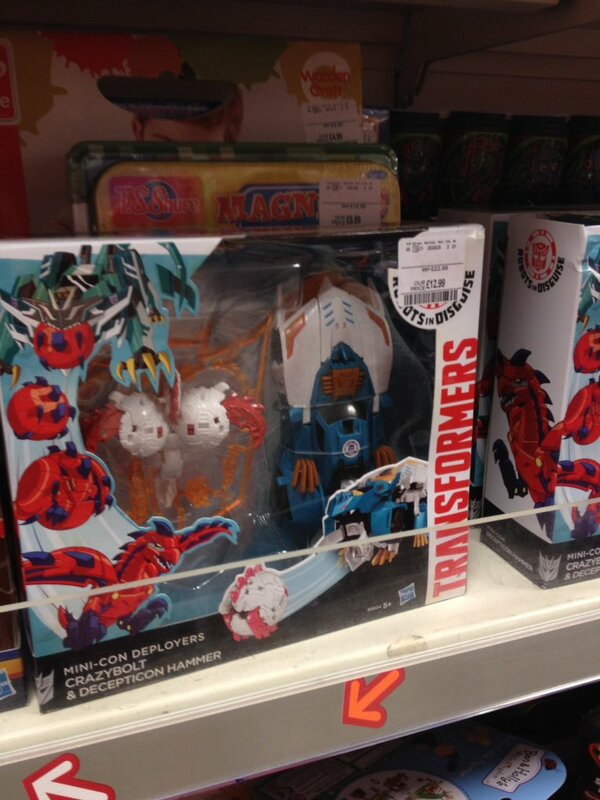 For the Robot in Disguise fans out there looking for second wave of Deployer figures, the deployer set consisting of Crazybolt and Decepticon Hammer has been found on retail shelves in the United Kingdom. This quadrupede, which has been available mostly from online retailer so far, was sighted at various TK Maxx stores in the United Kingdom. Good luck on your hunt, TFW! The post Transformers Robots in Disguise Deployer Crazybolt Released in UK Retail appeared first on Transformer World 2005 - TFW2005.COM. 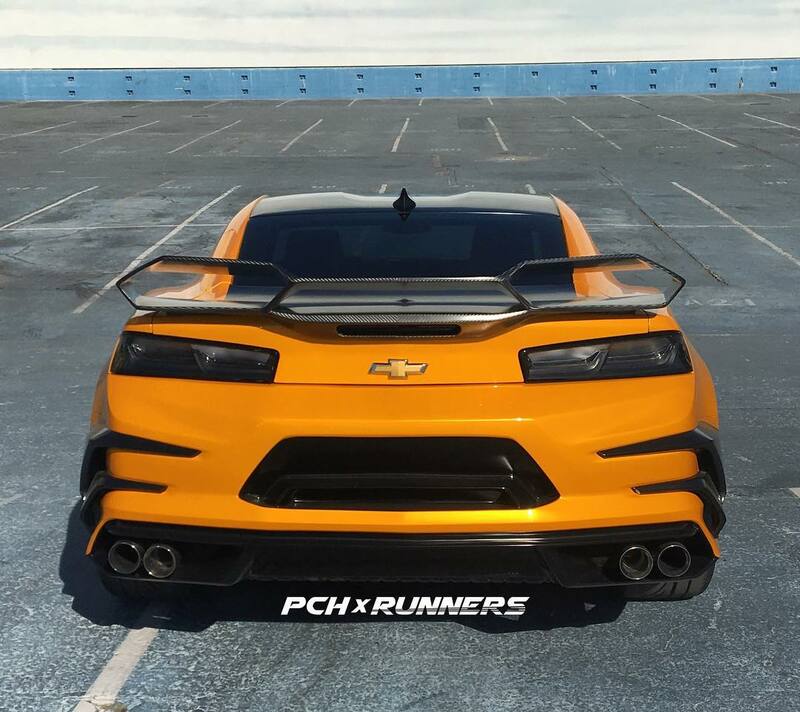 Additional filming for Transformers The Last Knight was underway at Paramount Pictures and Instagram user pchxrunners was able to capture some images of Bumblebee sitting in the studio’s backlot. Isabela Moner also posted videos on her Snapchat of her about to undergo her transformation into her character, Izabella. Images are mirrored below. The post Transformers 5 Filming at Paramount Pictures Backlot appeared first on Transformer World 2005 - TFW2005.COM. BEAST WARS! MP-32 is hitting boxes worldwide now and the (Masterpiece) Beast Wars have begun! Optimus Primal aka Beast Wars Convoy is the first of the new angle for the MP line, giving a non-G1 era the first proper Masterpiece treatment. This is Optimus Primal’s original form, as seen in episode 1 of the show and used throughout the first season. He runs small for Masterpieces, similar to the size of the cars, but working perfectly in scale with recent voyager and deluxe releases for Rhinox and Rattrap. He is a stunning piece if you are even remotely down with » Continue Reading. The post MP-32 Masterpiece Optimus Primal TFW2005 Gallery appeared first on Transformer World 2005 - TFW2005.COM. WTF @ TFW Episode 431 Now Online! Seth and Vangelus debrief some TFcon weekend news drops, comb through a billion slides, and get a little squiggy. You can download and comment on it here: WTF@TFW – Episode 431 Check out the WTF@TFW blog here. If you use iTunes and regularly subscribe to podcasts, you can add us to your player and have the software download each episode automatically each time we update. To do that, and give us a reviews on iTunes, click here: Transformers Podcast on iTunes. We’re now also offering ways to subscribe by <a href="http://subscribeonandroid.com/wtf.tfw2005.com/feed/podcast" » Continue Reading. The post WTF @ TFW Episode 431 Now Online! appeared first on Transformer World 2005 - TFW2005.COM. Pyramid International have some new Transformers posters and canvas prints featuring artwork from artist extraordinaire Guido Guidi. 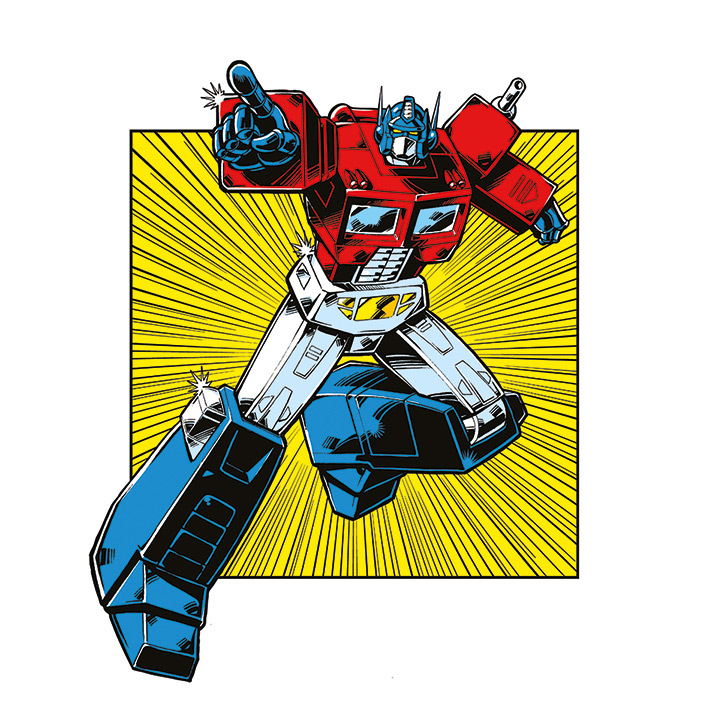 The prints feature retro inspired artwork of core G1 characters like Optimus Prime, Bumblebee and Megatron. No word on where/when these will be available but similar offerings have shown up state side in places like TJ Maxx and Marshalls among others. Check the prints after the break! The post New Transformers Prints Featuring Guido Guidi Art appeared first on Transformer World 2005 - TFW2005.COM. 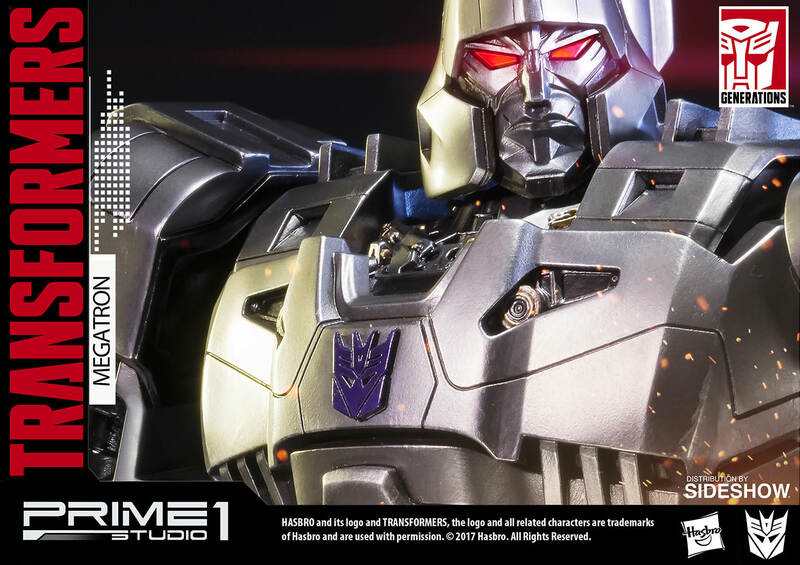 Prime 1 Studio have released additional high resolution shots of their upcoming Generation 1 Megatron Statue. The piece is a modern interpretation of Megatron from concept artist Josh Nizzi, who is known for his work on the Transformers movies (and used to post here on the 2005 Boards before he blew up! With a new initiative titled as Spark Hasbro, the company is inviting its consumers to submit new ideas for toys and games. Selected ideas will then be manufactured and sold; giving a certain benefit to the inventors. “At Hasbro, we’re passionate about creating the world’s best play experiences, and we want to invite our consumers and fans to be part of the process,” said Phil Sage, Senior Director of Global Product Acquisition and Inventor Relations, Hasbro. 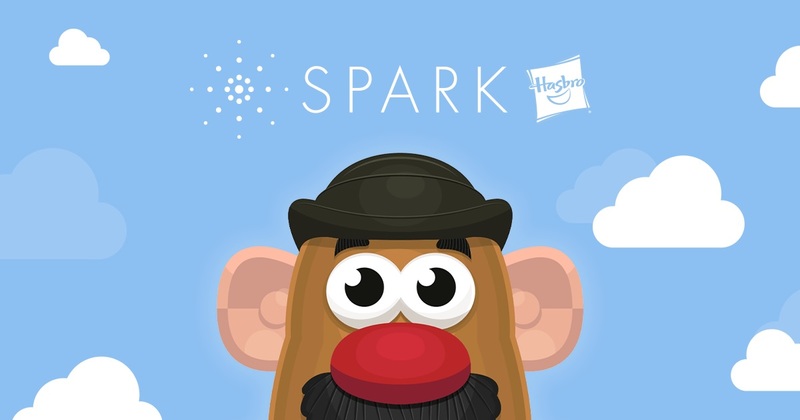 “SPARK Hasbro is an exciting new platform that allows us to inspire creativity and curiosity, and to develop exciting new toys, games and experiences proposed » Continue Reading. The post Hasbro Invites Consumers To Submit Product Ideas appeared first on Transformer World 2005 - TFW2005.COM. TFW2005 sponsor Robot Kingdom has provided their weekly update, check it out below and read on for the full newsletter! ___________ 1. Rogue One – A Star Wars Story Items Available NOW! Rogue One A5 size notebook Available on 18th October 2016! For any customers who purchased the Hasbro Rogue One items with USD50 or above, will receive 1 Rogue One A5 size notebook Per Order! Quantity is limited, first come first serve! 2. For any customers who purchased the Hasbro Titans Return Wave 2 items with USD40 or above, will receive 1 Hasbro Exclusive Titans Return Wave 2 Sticker » Continue Reading. The post Robot Kingdom Newsletter #1350 appeared first on Transformer World 2005 - TFW2005.COM. 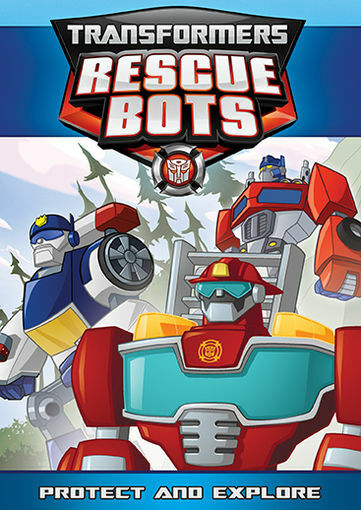 Shout Factory has posted a listing for the next Rescue Bots DVD titled Protect and Explore. The disc features 5 episodes including: Transformers Rescue Bots: Tip Of The Iceberg (S2 E4) Transformers Rescue Bots: Buddy System (S1 E15) Transformers Rescue Bots: No Place Like Dome (S3 E6) Transformers Rescue Bots: Thieves Like Us (S3 E15) Transformers Rescue Bots: The New Recruits (S3 E20) The disc is set to release in February 2017 for around 14 USD. The post Protect and Explore – New Rescue Bots DVD Slated for 2017 appeared first on Transformer World 2005 - TFW2005.COM.